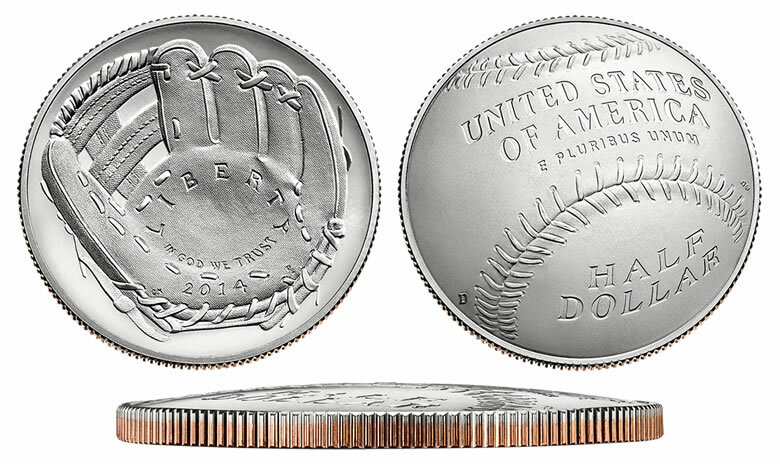 Specifically, the Young Collectors Set includes an uncirculated National Baseball Hall of Fame Half-Dollar that is struck at the U.S. Mint in Denver to a dome shape — the same one that is sold individually for $22.95, and a tri-fold folder to hold the coin that also walks children through the history of the National Baseball Hall of Fame. The child’s attention is engaged by "Mint Kids" characters similar to those featured in last year’s 2013 Girl Scouts of the USA Young Collectors Set. These sets are good gifts for children as they can introduce them to the hobby of coin collecting or enhance their existing collection. Pricing for the 2014 National Baseball Hall of Fame Young Collectors Set is yet to be announced but it will be very close to the price of the uncirculated half-dollar. Last year’s Girl Scouts Young Collectors Set was actually priced a bit less than the price of the coin it held when purchased separately. The United States Mint started selling 2014 National Baseball Hall Baseball Commemorative Coins on Mar. 27, 2014. (See images of the baseball coins.) Six coins debuted with options including $5 gold, $1 silver and 50c clad with each composition available in collector qualities of proof and uncirculated. The gold and silver coins sold out quickly, leaving the clad coins which have a much larger mintage. Below is a breakdown of where U.S. Mint sales of the baseball coins are at as of June 22, 2014. Coins with an asterisk (*) are no longer available. Orders of the halves at 294,734 mark 39.3% of the maximum 750,000. Collectors have a preference for the proof coins, as typical. The clad half-dollar sales have proof to uncirculated percentage splits of 63.6% and 36.4%. When released by the U.S. Mint at noon ET on the 28th, the 2014 Baseball set for young collectors may be ordered from usmint.gov/catalog or by calling 1-800-USA-MINT (872-6468).